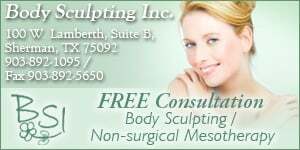 Mesotherapy is a body sculpting/weight reduction process that has been used in Europe for well over 50 years. This is a non-surgical alternative for treatment of cellulite, weight loss and localized fat deposits. The therapy involves multiple injections of customized mixtures of vitamins, minerals, amino acids, phosphatidylcholine (PPC), homeopathic substances. Injections re made just millimeters under the skin in problem areas. This process can give dramatic results. Dr. Pratt, one of the founding fathers of mesotherapy, has this theory about why this process works. There is a gene switch, the fat gene has become deactivated in the normal body and the PPC serves to activate or turn on the fat burning gene. As with all weight reduction and body sculpting, surgical or non-surgical, nothing is permanent without some modifications to ones' life style. Unlike liposuction, the fat cells are not destroyed and if some of the weight is regained, it will be done in a completely normal fashion. Eating a well balanced diet and performing some form of mild to moderate exercise will ensure the maintenance of your new sculpted body. With a lot of weight loss treatments there can be some significant side effects. However, with Mesotherapy the side effects are very rare and there are no reported cases of any permanent complications. The treatment will be performed by Karla Chapman, RN and certified Mesotherapist. Ms. Chapman was clinically didactically trained in Los Angeles, California by physicians with the Aesthetic Medical Institute. All procedures will be under the direction of Dr. M. R. Sheth. The staff at BSI is medically trained with a combined 30+ years of medical experience. Contact our office for a free consultation. Our hours of operation are flexible enough to accommodate your busy schedule. We are ready to answer all of your questions about this exciting alternative.